WHAT: 13th annual Tunisian-American Day celebration. Dr Ons Mamai will be the recipient of the 2017 Ibn Khaldun Award. Dr. Mamai was selected for having excelled within a Singapore-based scientific team, when she was able to identify the gene responsible for a hereditary dermatological pathology, a discovery of great value as it allows for pre-symptomatic diagnosing. In addition to being a world-renowned researcher (currently at the University of California in San Francisco), she is also, among other things, a member of the Young Tunisian Researchers in Biology “YTRB”, an association for the promotion and development of basic science research. The Award presentation ceremony will take place during the celebration of the 13th annual Tunisian-American Day© in Washington on Saturday May 13, 2017 in the presence of members of the community who will come from the various states of the country. The annual Ibn Khaldun Award was established by the Tunisian American Center in 2004 to honor the intellectual heritage of the “Father of Sociology“, highlight the value of our community in the United States and promote individuals who had a brilliant academic or professional career while being active within Civil Society entities. Amid a sluggish economy due due to a variety of factors, among which social unrest and terrorism attacks, that hurt the once-flourishing Tunisian tourism industry in the past years, Tunisia has held on November 29th and 30th, an international investment conference branded “Tunisia 2020 The Road to Inclusion, Sustainability and Efficiency International Conference”. The goal of the conference was to bring the country back to its pre-revolution image as a fast growing economy that is business friendly and to promote Tunisia as a bridge for the Mediterranean and African markets. It is also part of the five-year development plan of the country (2016-2020). High level meetings took place between foreign government executives, multinational companies / investors and local government officials and businesses executives. These meetings strengthened the country’s attractiveness, finalized the financing of the government’s development projects and mobilized private investment. According to TAP, 141 projects were presented and the event was attended by 4,500 people, 1,500 economic partners, 70 participating countries and 40 official delegations. It generated a total financing amount of 34 billion dinars (about $15 billion). Over the years, the partnership of the Tunisian Community Center with the #YallaVote campaign had contributed to build our organization’selectoral capacity and raise our community’s voice to prominence. The political conventions having taken place and the general election campaign heating up, now is the time to start. 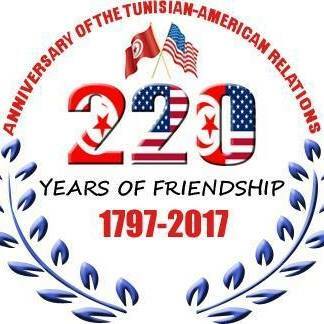 The Embassy of Tunisia, Neapolis Ceramics and the Tunisian Community Center are proudly co-sponsoring the 12th annual Tunisian-American Day. The celebration will take place on Saturday June 4th, 2016 in Washingn, DC. Program details will be published in the Gazette and posted on our website as well as our Facebook page. truly treated me like family. My host parents insisted I called them “omi” and “baba”, fed me until I couldn’t breathe, and made sure I knew they thought of me as another daughter. My host siblings also treated me just like family, truly ensuring I felt comfortable at all times, calling me sister and confiding in me. I felt so incredibly loved, and truly felt and continue to feel a part of their family. After my program ended, I could not imagine leaving my Tunisian family, or the beautiful country and incredible people I encountered that transformed from strangers to close friends within a matter of minutes, so I found a job at a language center teaching English and moved to an apartment in Bab Souika, the oldest neighborhood in Tunis, located in the Medina. I lived there for about six weeks, but was treated as though I had lived there all my life. My neighbors looked out for me, and greeted me with enthusiasm, asking about how I was doing, how my family was doing in the U.S., and of course, making sure I was well fed. Being inTunisia during two terrorist attacks, I never once felt unsafe. In fact, when Tunisians found out I was foreign, they would go above and beyond to make sure I felt completely at ease about my security, and be even more hospitable, if that is possible to imagine. I attended an anti-terrorism march in March, after the attack at the BardoMuseum, and it was so amazing to be apart of this sense of unity and pride in their country. Sounding out the words to the (Tunisian) national anthem because I don’t actually know the words, or speak Arabic for that matter, but being welcomed to attempt to sing it, screaming the chants alongside these intense and prideful people is something I will never forget. I could sense during that march, an incredible feeling of nationalism, and imagine the passion the people had during the Tunisian Revolution. When I saw that the National Dialogue Quartet, a Tunisian organization, won the Nobel Peace Prize***, I was ecstatic. Tunisia is a strong and resilient country, and I am so happy to see that this organization and the country as a whole have been recognized for their efforts toward a sound democracy. I cannot wait to go back to Tunisia, and will forever owe this country and its people for welcoming me, above and beyond anything I could have imagined. Noteworthy is the fact this Nobel Prize is not the first one for the Country. Indeed, 87 years ago, Tunisia’s adoptive son Dr. Charles Nicolle received the Nobel Prize in Medicine for his work at the Institut Pasteur in Tunis. Please, join the campaign to support the inclusion of the “MENA” category on the 2020 US Census. The Census affects, among other things, how over $300 Billion a year of federal and state funding is spent where you live. It is also used in apportioning seats in the US House of Representatives and redistrict State Legislatures and School District assignment areas. In October 2014 the Census Bureau broadened its options pertaining to ancestry by having a classification of people from the North Africa and the Middle East. The Bureau will begin the testing in 2015 of a MENA (Middle East/North Africa) category for possible inclusion on the 2020 Census. This category would result in correcting the census data which underestimates the MENA community by almost 2 million people according to the Arab American Institute. We need to voice our support for the Census revisions by sending this letter of support to the Federal Register. The action is needed by February 1, 2015. You need to bring: your Tunisian ID with which you have registered (Passport or CIN) and the receipt of your registration as proof. Next weekend Tunisia will be holding the legislative elections that will end three long years of a democratic (and turbulent) transition. The results will shape the societal and economic model for Tunisia for at least 5 years, if not for generations. The winner will use its legitimacy to establish a road map for our country to put it back on track and rise to the challenges of the 21stcentury. Let’s go vote and give back to mother Tunisia! Where do I vote and at what time are the polling stations open? Here are the final addresses of the polling stations in the US as published by the IRIE Americas and Rest of Europe on its Facebook page. *Please note that the Houston address has changed since the last time IRIE made the addresses available to the public. – San Francisco: Arab American Cultural & Community Center: 2 Plaza St.
– Check your voter status by clicking here, print it as evidence and bring it with you when you vote. (There is no printing option on the page so right-click anywhere on the page and then choose print). – Bring your Tunisian ID card with you and Tunisian passport or at least the one you have used to register. *Please note that it is safe to open the links. The legislative elections are coming very soon. The ISIE has opened five poll offices in the US during October, 24th, 25th and 26th, in the following cities: San Francisco, CA, Houston, TX, New York city (Our mission to the UN), NY, Miami (our consulate), FL and our Embassy in Washington DC. Update 1: the ISIE has posted online the list of registered voters by constituency. As Tunisians living in the US, we will vote for the constituency “the Americas and the Rest of Europe”. Here is the link to the full list of registered voters in our constituency http://isie.tn/liste-inscrits-etranger/list_inscrit_etr_web_54.pdf (the link is not corrupted. You can ignore the alert message). You should check that your name is on the list AND that it’s spelled correctly – as it appears on your ID. Your name will appear under Washington’s list even though you might vote in another polling office such as San Francisco. You can go straight to pages 944-970 if you were registered for the previous elections and to pages 970 to 1146 (in Arabic only) if you registered recently. The Registration form page will open. Enter your personal information as it appears on your Tunisian National Identification Card. What: Help the NGO ATIDE and Civil Society by observing the egistrvoter ration process in the Tunisian Embassy in DC. How: Send an email expressing your willingness to observe the voter registration to Sélima Dellagi Chaibi (selimadellagi@gmail.com) or to Zied Jamoussi (atide.france@gmail.com). ATIDE will take it from there and obtain you the authorization to observe voter registration from the ISIE. The Electoral High Commission , ISIE, had opened a very short period for voters’ registration. Only officially registered citizens will be able to VOTE and exercise their constitutional right. Time has come to show again how AWESOME of a nation we are! Consistent with its mission of promoting the Tunsian-American friendship, our organization is proud to team up with PAX Program of Academic Exchange, an international high school exchange organization, to find an American family to host a student from Tunisia for a full academic year/semester (or shorter options for 6-8 weeks) while the student attends a local high school. For more information, please contact Kelsey Maloney, at PAX. Post by The Tunisian Community Center. Copyright © 2012 All rights reserved. Tunisian Community Center.